A gangster turned born-again Christian said a mistake by the Bureau of Prisons (BOP) likely led to the death of James “Whitey” Bulger. Bulger, 89, died in federal prison in West Virginia on October 30, 2018; the New York Times is reporting the death was mob-related and Bulger was beaten until he was unrecognizable. Michael Franzese is a former Capo in the Colombo crime family, who was once “considered the biggest moneymaker in the mob since Al Capone.” He served nearly a decade in the same U.S. prison system, which housed Bulger. “Apparently, Whitey Bulger’s murder was mob-related. Surprised the feds put him in general population in max security prison. Guys doing life have nothing to lose. And they don’t like informants or guys that abuse women … His murder — no surprise!” Franzese tweeted on October 31. Apparently, Whitey Bulger’s murder was mob related. Surprised the feds put him in general population in max security prison. Guys doing life have nothing to lose. And they don’t like informants or guys that abuse women… His murder – no surprise! Franzese told The Daily Caller that a mistake is likely the reason the mobster got killed. Franzese said he witnessed first-hand such a mistake by BOP. During his federal sentence, he ran across Henry Hill, the gangster made famous after Ray Liotta portrayed him in Goodfellas. Franzese ran into Hill at the Terminal Island Federal Prison in Los Angeles, California, after the events in the film ended — after Hill had been thrown out of Witness Protection — when Hill landed back in jail. than pay the gas tax from hundreds of gasoline stations. After beating several indictments, Franzese finally pled guilty in 1986 to racketeering charges. While in prison, he had an epiphany. Franzese on the FBI, Bulger, Gotti and Gravano. While he’s left his old life behind, Franzese still doesn’t like informants. “We always had a choice,” Franzese said of gangsters who flip. He has no use for Bulger or Sammy “the Bull” Gravano. Though his plea deal mandated he admit to nineteen murders, Gravano only received five years in prison, in exchange for his testimony against Gotti. Gravano subsequently served another fifteen years for distributing ecstasy after being released. Bulger, like Gravano, used his relationship with the FBI to get away with murder. 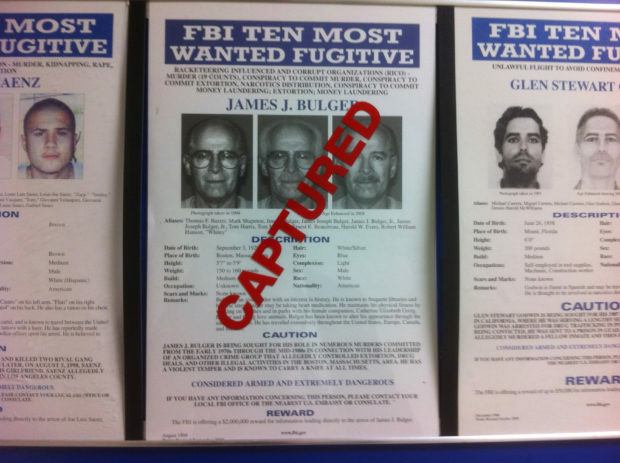 Bulger became an informant for the FBI in the 1970s, promising the FBI information on their mandated target: the Italian mafia. Carr wrote a book about Bulger and his equally powerful politician brother Billy. Bulger headed a rival Irish gang to the Italian Mafia called Winter Hill; he flipped his relationship with the FBI, corrupting his handler, John Connolly, who protected Bulger, even as he committed murder. Donny McGonagle, who made an honest living, but Bulger killed him when he mistook him for his gangster brother, Paul McGonagle, who Bulger would also later kill. Deborah Davis, a girlfriend of a crime associate who knew Bulger was secretly working with the FBI. Roger Wheeler, a businessman whose Jai Alai company Bulger was skimming from. Michael Donahue, who was killed, when he gave his gangster friend, Brian Halloran, a ride home at the moment Bulger and his crew decided to kill Halloran. Bulger went on the lam in December 1994 only after Connolly tipped him off to a major indictment against him. 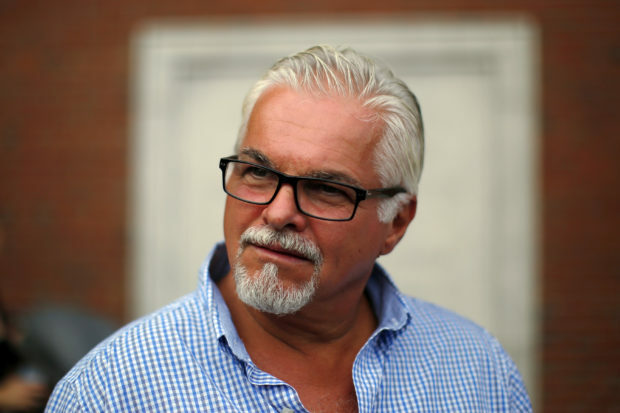 Connolly was initially convicted of racketeering in 2002; he was then convicted of second-degree murder in 2008, for tipping Bulger off that Callahan wanted to become an FBI informant, giving them information on Bulger’s role in Wheeler’s murder. When Bulger was finally convicted in 2013, that conviction included nineteen murders. Franzese said based on his experience the FBI needs reform. The FBI did not respond to an email for comment.